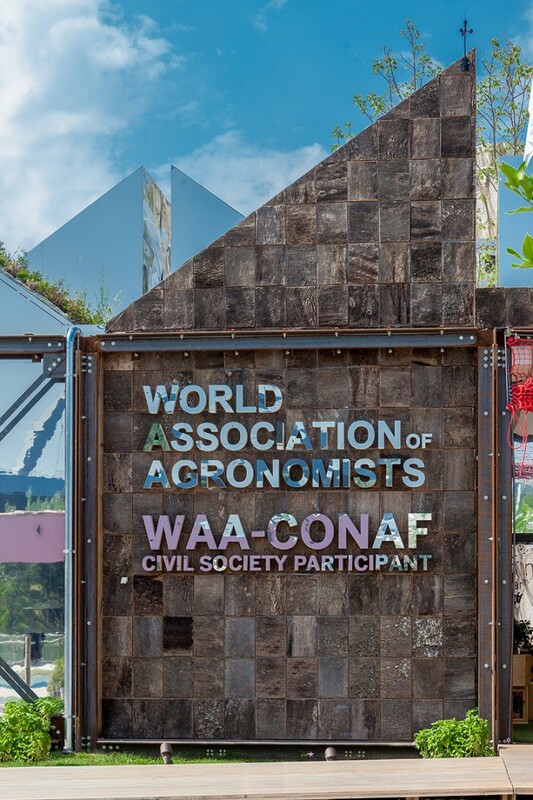 The World Association of Agronomists (WAA) and CONAF aim to unify, coordinate and represent associations of agronomists around the world. 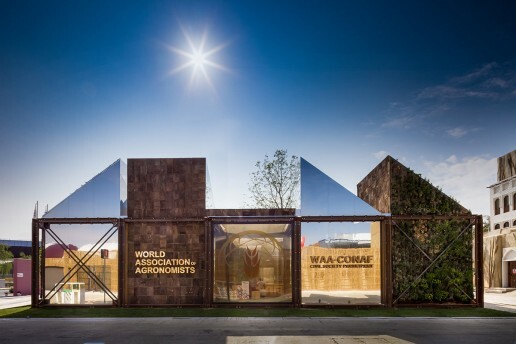 Their pavilion, the Global Farm of the Future (Prize Contest Toward a Sustainable Expo2015), is aimed at businesses and professionals and outlines the role of the agronomist in sustaining the future, giving suggestions on how to satisfy world nutrition, through exhibitions, seminars, forums and other initiatives. 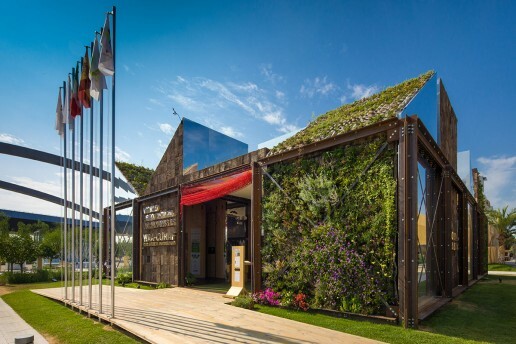 The somewhat abstract-looking pavilion, which features hanging gardens and slanted green roofing, has been totally sustainably built from Italian wood and natural cork and was designed by architect Enzo Eusebi, the founder of NOTHING STUDIO. 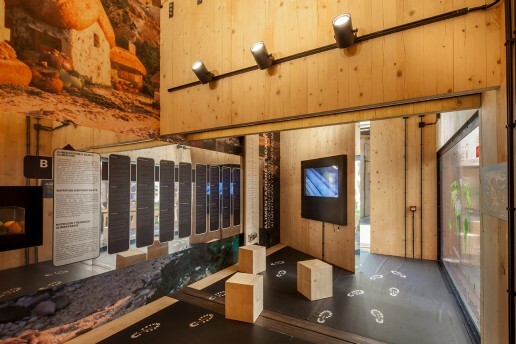 After the event has finished, the pavilion will become a touring exhibition which will travel around to teach the public about nutrition.